The Voice & Opera program offers an environment of excellence in which the healthiest development of the vocal artist can be achieved. Vocal technique, repertoire and an understanding of musical style underlie the growth of expressive, communicative singers. While an operatic career may be the primary focus of many students pursuing majors in vocal performance at Eastman, our curriculum acknowledges that singers must be versatile, artistically creative, and technically secure in order to compete in today’s marketplace. Standard opera, operetta, and musical theater repertory provide the ideal laboratory for learning theatrical techniques and stage repertory. Performances include full productions with orchestra, as well as opera scenes. Choral ensembles acquaint students with a diversity of great music and styles both as choristers and as oratorio soloists. Private lessons and solo and chamber music coaching give students grounding in the world’s great vocal literature. Courses in pedagogy provide relevant information for the singer and pedagogical techniques for the aspiring teacher. Courses in diction, foreign languages, music history, music theory and the humanities help our students develop as complete musicians. Eastman Opera Theatre presents three productions each year in Kibourn Recital Hall, our Black Box theater and Kodak Hall in the Eastman Theater. We utilize a “class and degree blind” approach to casting, meaning that starting in their junior year, roles are assigned to a singer with the best audition and the approval of their studio voice teacher. All productions are double-cast. 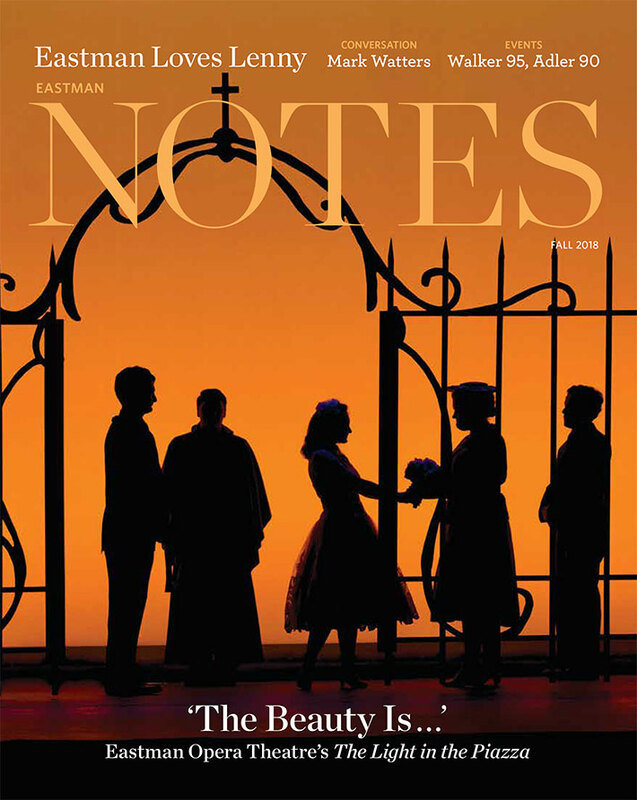 Many Eastman singers enter the operatic profession as a natural extension of this experience. Some of our recent productions have been Mozart’s Così fan tutte and Le nozze di Figaro; Poulenc’s Dialogues of the Carmelites; Donizetti’s L’elisir d’amore; Britten’s A Midsummer Night’s Dream, Albert Herring and Turn of the Screw; Mecham’s Tartuffe; Conrad Susa’s Transformations; Handel’s Xerxes, Orlando; Cimarosa’s The Secret Marriage; Massenet’s Manon; Gluck’s Orfeo and Euridice; Smetana’s The Bartered Bride; Puccini’s La Bohème; Rossini’s Il Turco in Italia; Sondheim’s Passion, Assassins and A Little Night Music and Bock’s She Loves Me. Opera Scenes programs are presented to the public in which all students from the opera performance classes participate. Studio productions are presented at the end of the spring semester. Productions have included: Signor Deluso, Goblin Market, The Telephone, A Hand of Bridge, The Stoned Guest, The Cradle Will Rock, La Voix Humaine, Le Portrait de Manon, and Phi-Phi! Outreach productions are also presented to area public schools. Frequent visits and master classes by such guest artists as Renée Fleming (MA ‘83), Marilyn Horne, Christine Brewer, Kristin Chenoweth, Stephanie Blythe, Jake Heggie, Gene Scheer, Ricky Ian Gordon, Lori Laitman, William Sharp (MA ‘76), Håkan Hagegård, Martina Arroyo, Benita Valente, Dawn Upshaw and Hermann Prey help to enhance the vocal experience at Eastman. Vocal coaches such as Margo Garrett, Armen Guzelimian, Martin Katz, Thomas Muraco, Craig Rutenberg, Graham Johnson, Roger Vignoles and Warren Jones have also presented master classes at Eastman.